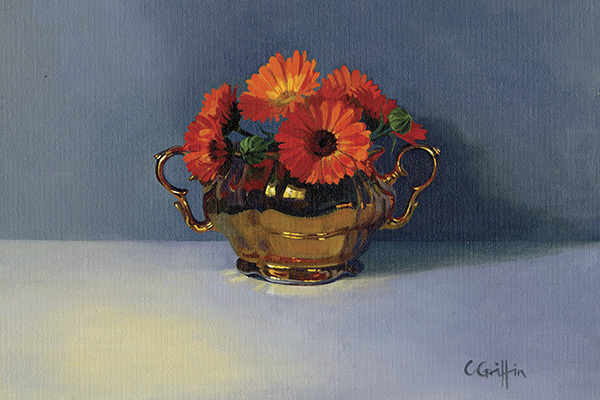 As a member of the Royal Society of British Artists, Carole exhibits annually at the Mall Galleries in London. She is currently concentrating on still life paintings in both oils and watercolours. Her watercolour workshop is on 24 September. Cycle to Carole’s Open Studio with Veronica Chamberlain on 1 October. All women are welcome but it’s first come first served – spaces are limited. It’s a great chance to get some exercise, meet interesting people and enjoy the work of our local artists. Click on the link below and sign up on the website – it’s free!